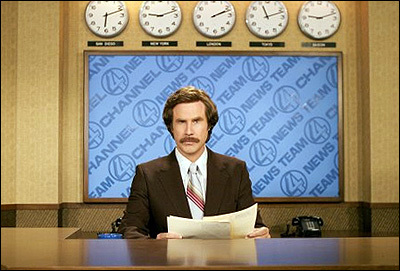 "Anchorman: The Legend of Ron Burgundy" was filmed. view of San Diego to set the stage, but then quickly cut back to L.A.
the very next scene, it lands on Ocean Blvd in Long Beach. In the same landing scene, right in front of the copter is a building with a sign reading "Esquire Hotel". That's a fake sign. The building is really the Long Beach Towers apartments, at 600 E. Ocean Blvd. And the street sign that reads "Main Street"? Also fake. That side street is actually Atlantic Ave. (in Long Beach). when they encounter the rival Channel 9 news team and exchange silly insults. Shoreline Drive & Aquarium Way, in Long Beach. a large restaurant at 435 Shoreline Village Drive. (The location is not far from where they filmed the helicopter scene.). (which is now permanently docked in Long Beach as a hotel & tourist attraction). Hence the name "Queens Way". Forget the signs saying "San Diego Zoo", it wasn't filmed there. would let them shoot there for as long as it would take. just northwest of the Grifith Park Merry-Go-Round, off Griffith Park Drive. put up some fake signs, and shot it there. There is a picnic area there now, with tables placed around the obsolete zoo cages. 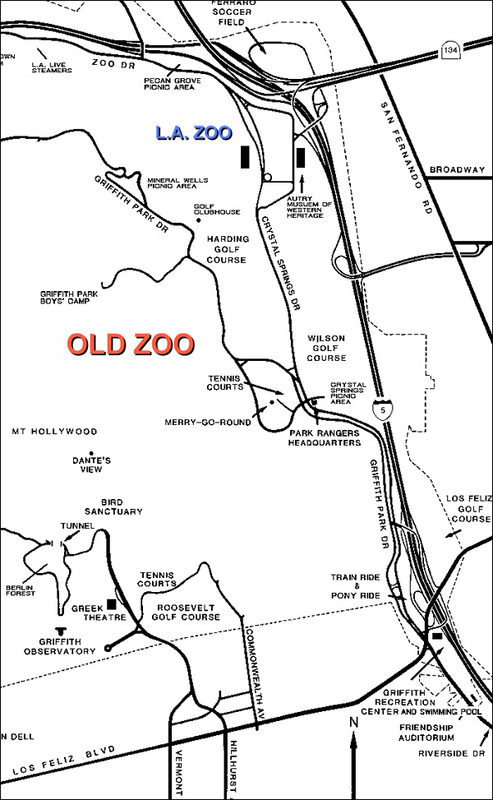 Old Zoo Trail can be reached from the parking lot of the Griffith Park Merry-Go-Round. [ Griffith Park's main entrance is located at 4730 Crystal Springs Drive. So what about all those indoor shots of the Channel 4 Newsroom? which is located at 1800 S. Brand Blvd (at San Fernando Road), in Glendale, CA. "I'm Ron Burgundy. You stay classy, San Diego." The photos on this page are stills from the DVD of "Anchorman: The Legend of Ron Burgundy "